This week my teaser comes from"Fateful" by Cheri Schmidt. I am currently doing a giveaway for this book. It's an ebook copy through Amazon's kindle. If you have a device that you are able to download the free app, this should work for you. I have a list in the giveaway of the compatible devices. If you would like to enter go ... here! The contest ends on September 30th. The irony in this book is that I entered to win the second book, "Fractured", in a goodreads giveaway. Fortunately for me, I won. When Cheri contacted me it was to find that I live in the small city where she grew up. She no longer lives here. We thought it was funny that the book was finding it's way back here. She was kind enough to send me a copy of the first book as well. Anyway, time for the teaser. 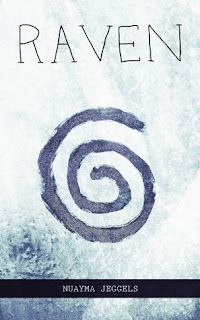 Description from Goodreads: Beatrice "Tris" Prior has reached the fateful age of sixteen, the stage at which teenagers in Veronica Roth's dystopian Chicago must select which of five factions to join for life. Each faction represents a virtue: Candor, Abnegation, Dauntless, Amity, and Erudite. To the surprise of herself and her selfless Abnegation family, she chooses Dauntless, the path of courage. Her choice exposes her to the demanding, violent initiation rites of this group, but it also threatens to expose a personal secret that could place in mortal danger. Veronica Roth's young adult Divergent trilogy launches with a captivating adventure about love and loyalty playing out under most extreme circumstances. Beka's Thoughts: Divergent is a young adult dystopian book about a society that is ruled by different human characteristics. There are different districts, one that everyone is honest, a district where everyone is super smart, another for the peaceful, one for the brave, and one for the selfless. Before it was a sound way to govern, but then the districts went over board with their different characteristics. When a child turns 16, they have to choose which district they are going to devote their lives to. Beatrice, a sixteen year old who's origin is the selfless district, has a secret. A secret that puts her at risk no matter where she goes. It could save her and the world, or it could destroy her. When she finds a plot to destroy the district she hails from, she has to decide whether or not to use her secret. It could mean the lives of her family, and maybe save the guy she thinks she might love. I gave Divergent a four out of five star, because the writing was not very descriptive, and made you feel like you were only seeing part of the picture. The story line is very fun, and enjoyable to read, and you feel like you know the characters at the end. I would recommend the book to anyone. It is probably a seventh grader or above reading age. I would like to introduce you to my very good friend, Colleen. She and I have talked about our love of reading and of finding good books to read on many occasions. I was talking to her the other day and asked if she would like to help me out reviewing on this blog. She said YES, and I am so excited. Just a little about Colleen. She doesn't like to talk about herself much, but that's OK, because I am more than happy to tell you a little about her. First off, she is a wonderful friend, mother and I'm sure her husband would say that she's a wonderful wife. I have quite a bit of respect for her. She is an amazing musician. I was privileged enough to take piano lessons from her for about a year. She is an opera singer, she trained in Germany. She also borrows books from me all the time and brings them back in great condition. When I started Bookworm Lisa, I had no idea that it would or could become a huge thing in my life. I have so many review books to read and I am having a hard time keeping up. Now that I have my daughter, Colleen, and Rachel reviewing I wonder if it's fair to keep my name on the top? They will get the credit for anything they write on this blog. Description from Goodreads: Buddy Boutonniere, a big-hearted Standard Poodle, subsists in the bare backyard of a tract home in the desert city of Yucca Dunes. MacKenzie, a Border Collie, and Javier, a Chihuahua, provide Buddy with scraps when his neglectful owners forget. When Buddy's owners decide to move, Buddy meets a wonderful lady who visits his house with prospective buyers. The poodle's humans try to sell him and Buddy goes through a series of unsuitable situations. The final family returns Buddy not realizing his owners are out of town. His only lifeline, MacKenzie, is killed by an evil Hummer driver. Javier tries to support Buddy with the aid of Dumb Derek, a brain-damaged Rottweiler. The two are unable to help. Buddy dies, but is brought back to life by Sonny, the Good Shepherd. Sonny grants Buddy's wish to live with the lady, in return for his promise to go with Sonny when he comes back for him. Buddy has a happy life with the lady and her dog, Skootch. Together they rescue abandoned Leroy and abused Roxanne. Years later, during Skootch's fifteenth birthday party, Sonny comes for Buddy. Sonny takes Buddy to Haven, canine paradise, where he is reunited with MacKenzie. Sonny explains the rules; dogs acquire free will and give up caring for humans. Their only responsibility is to help guide other dogs to Haven. Buddy excels at guiding, but on a mission to bring back a bomb dog from Afghanistan, Buddy helps a human, the dog's Marine partner. The residents of Haven are furious and Buddy is exiled to the perimeter of paradise. There he meets a girl who has died of cancer and befriends her, another infraction. He is dragged before the communal tribunal, where MacKenzie defends him. With the help of the marine and the girl, she convinces the judges that Buddy is not an offender, but a hero. My thoughts: Buddy is a standard poodle. He grew to be bigger than his owners thought, he is neglected and unloved. He has several dog friends who pull him through the hard times. They bring him food when his owners leave him without food for several days and they cheer up his day. Buddy's Tail is not a completely sad tale of an abused and neglected dog. 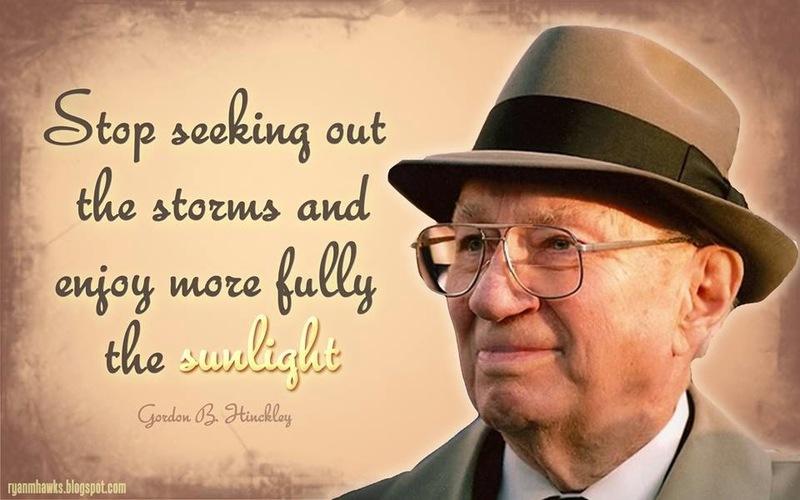 There is a ray of sunshine for him. As he is given a second chance, he begins to pay it forward and help out other dogs in need. A good portion of this book takes place in "Haven". Haven is the place where dogs go after fulfilling their mission on earth to help humans. It is in Haven that Buddy's friend. MacKenzie, watches over him and gives him as much help as she can. I was describing the story to my children at the dinner table today and they are very interested to see what happens with Buddy and possibly read it themselves. While some of the subject manner is sad, I think that it was handled well. I have no objection to letting my kids read it. Honestly, my dog had been outside for two hours and I felt guilty and brought him in to give him some love and attention. This book will definitely tug at your heart strings and give you a moment to consider how you are treating your animal friends. 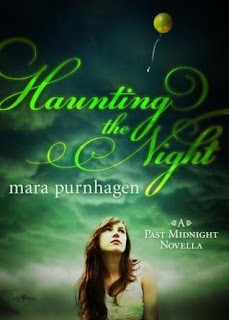 This book is currently being offered in a giveaway at goodreads. Five copies are being offered and it closes on September 30th. Click on the title at the beginning of the post to be taken to the page. I received a copy of the book to review through Bostick Communications. I am not paid to review it. I have honestly expressed my thoughts of this book. Lots of great stuff this week. I am very excited to show you what I have to share. From Cedar Fort to review for the upcoming Christmas holiday season. I am fortunate to live only a few miles away from the Cedar Fort Publishing building. I was able to pick up the books in the picture above. I also couldn't pass up the opportunity to visit their outlet. It's probably a good thing I don't work at a book store. Probably all of my paycheck would go to the wonderful books. Here are some of the books I picked up at the outlet. The purchase price on these were less than $25.00. Before James Dashner became well know for The Maze Runner, he wrote a series of four books called he Jimmy Fincher Sage. I purchased all four of them. I think that is it. 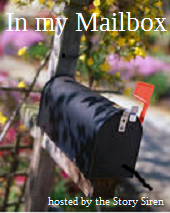 I hope that you had a great week in your mailbox and eBox. Let me know what goodies you got. 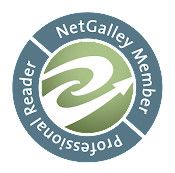 A Big thanks to I Read Banned books and I am a Reader, Not a Writer for hosting this hop! My choices in books may not be banned, but they are fun! There are some who would ban books dealing with witchcraft and wizards though. Two are for the upcoming Halloween season, I want to get them to you to enjoy before Halloween. The Kindle books are books that I enjoyed when I read them, they are not as well know, but definitely worth reading. My take on banning books. I am against banning books. However, I feel that if you are an elementary library, only books that are an elementary level should be on the shelves. Public libraries have the obligation to have books on their shelves that are indiscriminate. There should be something there for everyone. I only keep books on the shelves of my home that I feel comfortable in letting my children read. As a parent, I have an obligation to teach my children standards and then let them make their own choices. I get to choose which books I will purchase though. I firmly believe that every person gets to make their decisions based on their interests or beliefs and do the same thing with their family or personally that I am doing with my family. Choice is a basic human right. For this hop I will be giving away four packages. One is International, two are to anyone who has a kindle application, and one to US addresses only. I will be ordering this book from the Book Depository. So, you must have an address to anywhere that they ship to. Click here if you wonder if they ship to your country. Click here for the blurb about the book. You can find the book description here! How do you get a free kindle app if you don't own a kindle? Here are the devices that kindle apps work on. Free Kindle Reading AppsDownload and read Kindle books on your favorite device--no Kindle required. 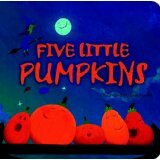 This is perfect for the upcoming Halloween season and I would love to get it to a child to enjoy before they go trick or treating. My contest rules are located in the upper right side bar. I will note again, you must be 13 in order to enter any contests on Bookworm Lisa. You do not need to follow me to enter. 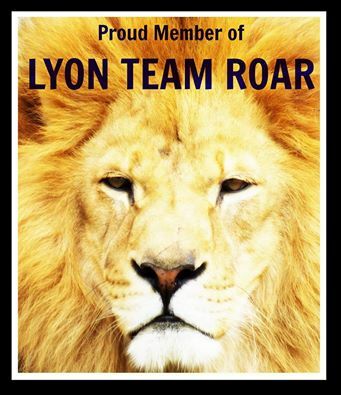 You will get an additional entry if you follow me on GFC or twitter. 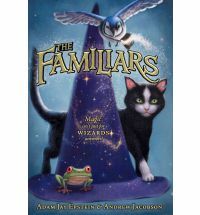 Description from Goodreads:The magical, secretive society of JANITORS will sweep the country in the fall of 2011. Have you ever fallen asleep during math class? Are you easily distracted while listening to your English teacher? Do you find yourself completely uninterested in geography? Well, it may not be your fault. The janitors at Welcher Elementary know a secret, and it s draining all the smarts out of the kids. Twelveyear- old Spencer Zumbro, with the help of his classmate Daisy Gullible Gates, must fight with and against a secret, janitorial society that wields wizard-like powers. Who can Spencer and Daisy trust and how will they protect their school and possibly the world? Janitors is book 1 in a new children s fantasy series by debut novelist Tyler Whitesides. You ll never look at a mop the same way again. 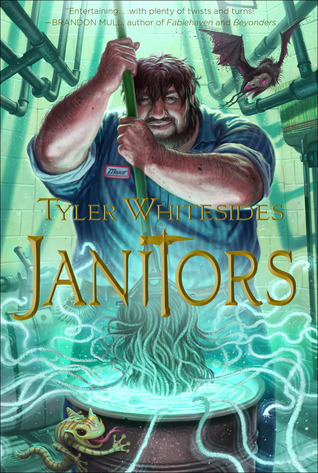 Beka's thoughts: When I saw the book Janitors, I knew it was a book I wanted to read. It is about a twelve year old kid named Spencer, who washed his face with a special soap and suddenly was able to see small creatures dwelling within the walls of his school. With the help of a girl named Daisy- nick named Gullible Gates- Spencer has to find out who are the bad guys, and how to save the school, and possibly the entire world from the smarts-sucking school dwelling creatures. I really enjoyed the book, the style of writing was fun and creative, and the story was enticing and cute. It is more of a fourth to fifth grader book, but can be read by anyone who wants their imagination to be expounded, and their minds enlightened. Description from Goodreads: Mistakes... Everyone makes them. We are only human. Some of our mistakes are small... like the times you stay up till 2 am studying for a test that you end up failing because you are too tired to think. 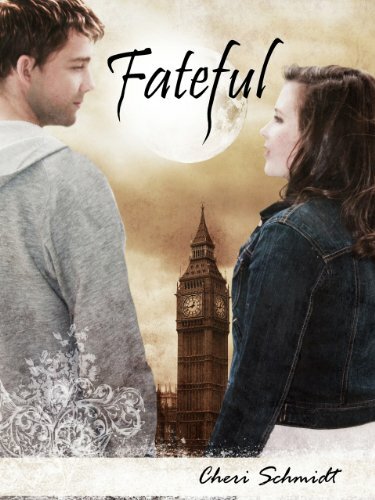 Others are so catastrophic that they change your life.... forever.... Maddison regrets not listening to her parents, not being a 'good girl' and not staying at home like she was supposed to instead of sneaking off with her friends for a Spring Break getaway. How she wishes she could turn back time; then maybe she wouldn't be in the nightmare she is in now. Kidnapped and taken to a different country unaware of where she is or what these men want with her. Maddy's parents can't help her, in fact they aren't even aware she is in Mexico. Who can save her? Or can she save herself? My thoughts: I don't feel like I can rate this book. The story fascinated me and I had to find out what happened to Maddie, she was kidnapped while on Spring Break with her friends. The abuse that she undergoes is horrific. She lives through mental, physical, and sexual abuse. The language used was hard for me to read. The book is full of profanity and degradation. I must admit that there were a few times that I almost abandoned this book. This is not the kind of book that I prefer to read. But like I said before, I had to know what happened to Maddie. This is a book that is not to be read lightly. It is well written. The writing borders on brilliant, the subject matter stinks. If you want to scare your teen into being honest and not going on spring break, you may want to let them read it. You might want to read it first though, because you may change your mind. This book does not have a happy ending. 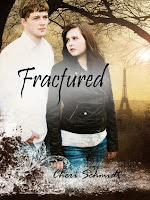 The second book "Trapped" is due to be released early 2012. Recently I was contacted by Nuayma Jeggels and asked if I would be willing to host a giveaway of her book Raven. It is an epic fantasy with zombies! How could I say no? Besides the fact that I love to pass on books free of charge to my followers. No brainer for me. I will say though that I have not read it, so I can not give any recommendations. I looked at the two reviews at goodreads and one is a three rating and the other 4.5. 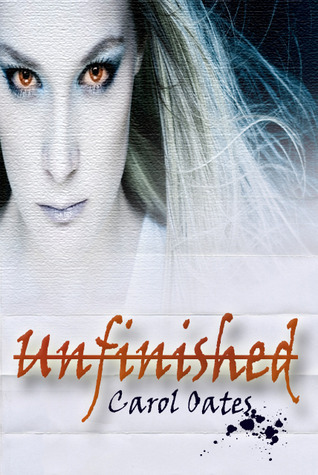 Here is the book description from Goodreads: When Shardaie wakes up, she doesn’t know who she is, why she can’t understand emotions, why she has been unconscious for nearly nine of her thirteen years, or why the dead just won’t stay dead. 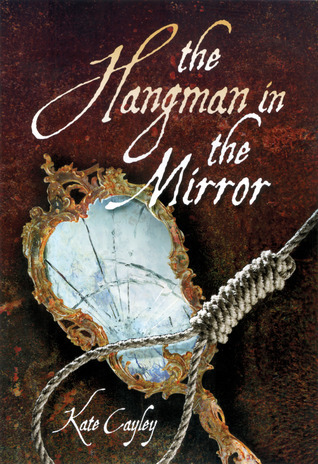 The only clue to her past is a locket, but the Plague, which finally stretches its unnatural hand to her village, forces her to leave and to learn to protect herself. But everything has a cost: the protection against the undead reveals a secret that Shardaie and her classmates just don’t want to accept, and at the end, Shardaie realises that some secrets shouldn’t be revealed. Secrets have the power to destroy, and the power to change her view on humanity for ever. The lizard’s eyes flitted this way and that way, and when Shardaie realised that the world had to look just too big for it, she rolled onto her back and stared at the ceiling. What was it feeling? She spread out her legs and her arms, then tried to see the room from the lizard’s perspective. Window, too far away. She started to wave her arms. Floor, too wide. She started to wave her legs. Walls, nearly never-ending. Her stomach clenched, then a sheen of sweat covered her brow. Shardaie blinked, and as she stopped moving, she thought, that didn’t help. She still didn’t understand what she was feeling. Then she pulled herself up, but when she straightened, she accidentally knocked her arm against the edge of the windowsill. Shardaie noticed the sudden prickling sensation in her flesh, and when she raised her arm, brow twitching as her eyes narrowed, she took note of the scratch and the thin line of blood that stood out vividly against her pale skin. Wasn’t she supposed to be doing something? she thought as she tilted her head to the left and then to the right continuously, she was supposed to react, wasn’t she? Her arm lowered to her side. She looked up and licked her lips, then thought about the girl, who loved to speak to lizards, before she turned to stare at the floor. Shardaie began with her face: she started to arch her eyebrows and then opened and closed her mouth. Her calves twitched, so she started to shake her legs, but that turned into a hopping-on-the-spot. She tried her best to re-enact a scene she had witnessed a while ago, of a little child noticing a wound, but when she spun around, arms flapping in the air, she realised that she wasn’t alone. Shardaie nodded at the suddenly empty doorway, then turned around, marched up to her bed and sat down. She wriggled around for a moment, but sat still and stared ahead. Her eyes blinked. Her fingers twitched occasionally. A lock of her hair fell down to caress her nose. She looked at her arm and then raised it before sitting upright and staring at the doorway once more. Shardaie didn’t follow him, even when he made a beckoning motion with his hand, and when he had left the room, she looked back at her arm and thought. The prickling sensation was still there, but it was fainter. She looked at the doorway that both Celio and the lizard had used, then crawled across her bed and threw her blanket over her body and her head. Nuayma Jeggels is offering three eBook copies to three winners. Make sure that you leave your name and email address to enter. I will be forwarding the winners on to her and she will get you the book. As always, you must be 13 or older to enter. See my giveaway policy in the upper right side bar. This contest will run until October 3rd. Good luck! Today is my birthday. I wasn't sure that I wanted to have any kind of celebration at all. Besides the fact that I am broke and looking for a part time job after being a SAHM for 16 years. So... I am going to have a giveaway, it's just going to be a party for someone who is a little low on funds. There are some great books out in Kindle that are actually pretty cheap. I thought today that I would have a giveaway for some of these books. I haven't read package 1 yet, but I will. I have read the books in package #2 and I give them a high recommendation. So, in order to enter you must have a kindle app available if you don't have a kindle. Here are the devices that you can get a free app on. I will send the winners the books from Amazon as a gift. There are two packages, so there will be two winners. Not much of a birthday celebration, but at the moment the best I could do. 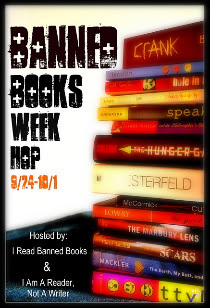 I am also participating in the Banned Books Hop that is coming up in a couple of days. I have some great books in that as well. Seeing that it is my birthday, I will ask that you follow me in order to participate. You can follow on GFC +2, twitter +1, tweet the contest +2 (In the upper left of the post is a tweet button. Click on that, I'ts that simple. 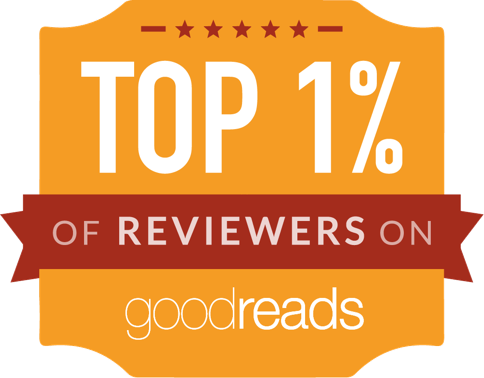 ), friend on Goodreads +1, or Networked Blogs +1. All will be for extra points. I have a giveaway policy in the upper right side bar. I will note here that you must be at least 13 in order to participate. Fill out the form below. I will end the contest on September 30th. Thanks for stopping by and celebrating with me. Description from Goodreads: Once a century, one person is chosen for greatness. My thoughts: Elisa is sixteen. On her sixteenth birthday she is given in marriage to the king of the neighboring kingdom. Elisa is the second born daughter of a king, as such she is used to make alliances. Her marriage is left unconsummated and the King doesn't recognize their marriage to his people. She is left floundering as to her place and the expectations of her station. One thing she has that is very rare. On her naming day during the ceremony a blue stone was placed in her belly when there was a flash of light. It is called the Godstone, and only one bearer is chosen every 100 years. She has a destiny to fulfill but is left in the dark as to what God expects of her. Once her secret is accidentally discovered, she is kidnapped and forced to march across the desert. This march is harsh and the food and water situation sparse. She is forced to overcome her sugar addiction. (Maybe I should spend a month walking in the dessert. ;)) Her body is transformed and she is put in situations that give her confidence. She is able to rise to the occasions that present themselves. She experiences love and loss. She finds out who she can trust, and what a true friend is. I liked the transformation that she undergoes. She is a young woman who craves affection and love from those around her to a compassionate woman who gives the love and affection and understands to receive you must first give. She finds her potential and rises to the trials placed before her. I enjoyed this book, there is not content that I feel uncomfortable in recommending. Description from Goodreads: What if you were bound for a new world, about to pledge your life to someone you'd been promised to since birth, and one unexpected violent attack made survival—not love—the issue? 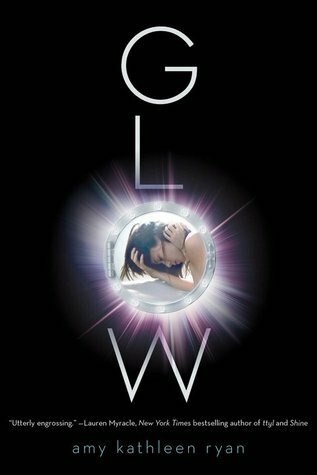 Beka's Thoughts: Glow is a dystopian young adult book. Two ships were sent into space, sent away from a dying planet. Their goal is to reach a new planet, to start a new earth. On one of the ships, the woman are able to conceive children in deep space. But on the other ship, the women are not so lucky. Waverly is one of the first children to be born in deep space. Her life is near perfect, with the guy she has been dating for a while proposing to her. But Waverly does not know if marriage is what she wants at that time. In just a short time her life is shattered by an attack from the other ship, the New Horizon. The New Horizon's leader is very ambitious. She wants to be the one who starts the population for New Earth. And for that they need the girls from the other ship. And they wont let anyone get in their way. I really liked the book Glow. It was detailed and the story entranced me from page one. I give it a four out of five stars because of some mild swearing, and some briefly mentioned mature activities. I would recommend this book to anyone above the grade of six. Or some where around that age. Other then the things I covered above, I did not have any other problems with this book, and really enjoyed reading it. I used Random.org to select the winner of the ebook "Ember" by Carol Oates. There were 46 entries and the #17 was selected. Ember is on kindle for $6.99. Here is the link if you want to read it today! I was able to host my own separate giveaway as part of the tour due to the generosity of Omnific Publishing. I will posting another giveaway here tomorrow. I will be turning 42 tomorrow. Agghhh, I don't know how that happened. It is a very small giveaway, but I wanted to have a small celebration and give party favors to a couple of my followers. 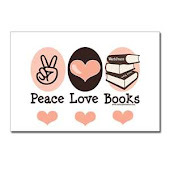 On the 24th, the Banned books blog hop begins. I am participating in that as well. So, stop by and see if there's a book you would like to enter for. The week of October 10-14 I will be having another giveaway. It is in celebration of my 1000 followers and that I will have run this book blog for one year. I started blogging last year on October 12. I hope you will stop back to enter and see what great books you may want to check in to. Review of "The Revenge of the Radioactive Lady"
Review of "Love Will Follow"
Review of "A Long, Long Sleep"